This guest blog is by ELGL member Melissa Asher, the Director of Training and Recruitment for CPS HR Consulting (full bio below). Read Part I of this post! This brings us to strategy four – training and development. This has emerged as a huge retention factor for today’s workforce. Employees recognize the need to keep building their skills to keep up with the job market. Research from John Seeley Brown showed that the half-life of a business skill in 1984 was 30 years, but only five years in 2014. Accenture and World Economic Forum research recently revealed that 87% of workers polled believe new technologies like AI will improve their work experience, and they are willing to invest their free time to learn new skills to enhance their career opportunities. New York City offers the Empire Star Public Service Award. Candidates are nominated, and if accepted, are given a $5,000 scholarship to attend college classes, conferences, or training programs. The state of California has 20/20 programs. An employee spends 20 hours working on one job and 20 hours apprenticing or training for another job. The state of Nebraska encourages 15 minutes per day of learning for employees, so it becomes a habit. They partnered with LinkedIn Learning to make 5,000 online courses available. They found this was most effective when pairing online learning with another training program to reinforcement or extend the learning. The state of Louisiana has an online supervisory potential tool that non-supervisory employees can use to assess their strengths and weaknesses. Once assessed, employees receive suggested classes or other learning opportunities from the tool. For our last strategy, let’s explore recognition. There are stats on the value of recognition. Organizations with recognition programs report 23% lower employee turnover than those without a program. Conversely, 55% of employees cite a lack of recognition or a negative company culture as the reason for leaving their last employer. Today, the trick to recognition is to make it ridiculously easy for everyone. Recognition should come from the organization, supervisors, and peers. Peer-to-peer recognition is easy to implement, usually low cost, and often overlooked. Creativity is the key to building an assortment of rewards that everyone will be excited to earn, and will make employees feel good about being part of the organization. A meaningful (and low cost) trophy that is passed around. Many recognition programs today have gone online. You can add them to your intranet, and include forms and lists (SharePoint) where anyone can recognize someone by completing a short form with the person’s name and brief description about the recognition. Other employees can then see this recognition too. A monthly drawing for everyone recognized could be held with a few people winning gift cards. Subscription services are available to help with these programs too. Some I found helpful and relatively low cost are Bonusly, Tribute, and Kudoboard. A low-tech idea is to have recognition cards printed. They look like business cards, and might say, “You make a difference”, “You’re awesome”, and “Glad you’re on the team”. Hand them out at will. All these strategies have one thread in common – they create opportunities for employees to become their best selves, and they will reward the organization by staying and contributing. Try one or two ideas, and see what is unleashed. For more information, ideas and strategies about employee retention, contact Melissa Asher at [email protected]. Melissa is the Director of Training and Recruitment for CPS HR Consulting. With over 22 years of experience in human resources, specializing in training and development, test administration, and recruitment, Melissa brings a wealth of practical expertise to her Senior Leader role. As a hands-on leader, she is responsible for the growth and development of CPS HR’s Training and Development and Executive Recruitment Divisions as well as leading key business development activities. 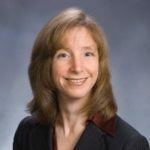 With extensive experience leading large scale public sector projects for licensure and certification testing, online learning initiatives, major compliance training rollouts, foundational supervisory training programs, leadership development, system implementations, and high profile executive searches, she is able to develop creative and valuable solutions for our clients that lead to improved organization performance. Adding to her Bachelor’s Degree in International Relations from the University of California, Davis, she is a certified Project Management Professional (PMP) through the Project Management Institute and has her Senior Professional in Human Resources Certificate (SPHR) from the Society for Human Resource Management. Additionally she achieved an Accounting Certificate, has published numerous articles in HR and related association publications, and regularly speaks at conferences.